Hosting for your TomatoCart website that just works. Servers optimized to give you the best TomatoCart experience possible. We’ll even install TomatoCart for you! We’ll move the TomatoCart site for you! Softaculous auto-installer – Install TomatoCart in just a few clicks. GD support – Needed for many TomatoCart plugins. Zend and Ioncube support – Needed for some TomatoCart plugins. 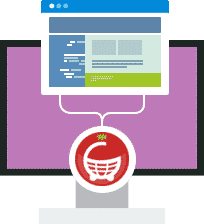 TomatoCart is a next generation open source shopping cart, branched from osCommerce 3 as a separate project. 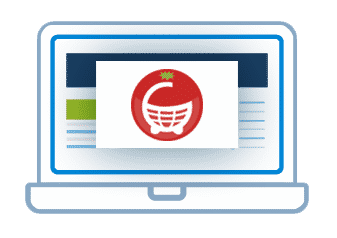 TomatoCart is open source ecommerce solution developed and maintained by a number of 64,000+ users from 50+ countries and regions. It’s distributed under the terms of the GNU General Public License (or “GPL”), free to download and share. The community, including project founders and other developers, are supposed to work together on the platform of TomatoCart, contributing features, technical support and services. TomatoCart is implemented with ExtJS RIA framework. The web desktop application mimics the user experience of a desktop Operating System, offering features and applications similar to a PC environment so that users can easily start work. Meanwhile, multi-task is supported by multi-window operation, enabling users to work with several modules such as products, customers and orders at the same time. It offers significant usability improvements and makes interacting with web interfaces faster and more efficient.